Provided for institutes or studios which intend to offer training courses pertaining to Reallusion products. To apply towards these certifications, you may visit the Certified Talent section to browse the criteria and benefits of becoming a certified director, content developer or trainer. You can also visit the Authorized Training Center section to apply for other authorizations toward certified training centers. The Certified Trainer program has been developed for those who would like to build a career in the animation industry and collaborate with Reallusion for training activity development. 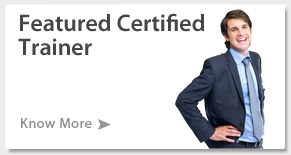 Once you are featured as a Reallusion Certified Trainer, you will be able to promote your training courses and services in a featured column. Reallusion is continuing to work hard toward facilitating communication between our certified trainers and beginner users who are still learning the ropes. You will also enjoy the benefits of preferred access to product and content resources from Reallusion in order to enhance and further promote your training services.